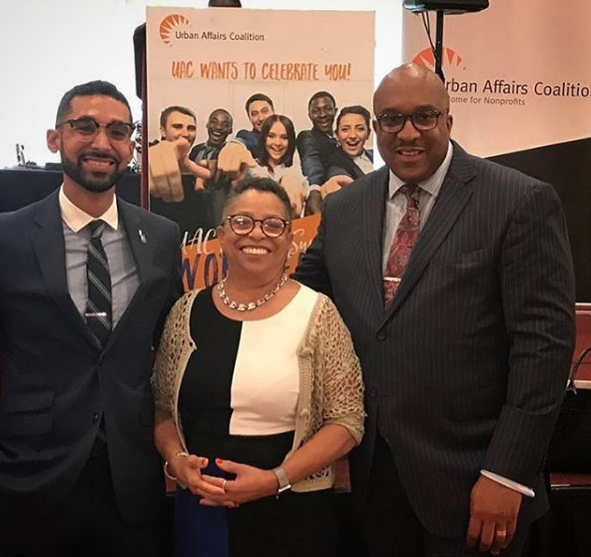 Tivoni Devor, UAC Partnerships and Outreach Manager Tells Nonprofits to "Ditch the 501(c)3"
Follow originalodaat "HAPPY BIRTHDAY TO MY MOMMA!!! I'M DANCING IN HONOR OF MY FATHER!! #GODFIRST #ODAAT #ONEBLOCKATATIME #ONEDAYATATIME #EATN https://www.instagram.com/p/BwfNi_ZHz2W/?utm_source=ig_twitter_share&igshid=2ufd3p1ct0k3 …"
Follow: CoalitionU "Taking a look back when UAC’s Summer Youth Employment Program was in session! Last year, SYE celebrated a great summer, where they helped place over 1,400 youth into six-week jobs throughout the City of PHL, to gain access to work… pic.twitter.com/oEGyi4uwiV"